Purchasing a new company is no joke! If you hadn't heard, my husband and I recently bought a company! Very exciting, but tough work too! I am up at 6am getting the girls ready for ﻿school, then I try and get some work done with a 14 month old pulling everything off the shelves and out of every cabinet. I get her down for her nap and have to straighten up the house before I can get any real work done. After her nap, we have our lunch and have a little time before the girls get home from school. Then it's off to after school activities. Come home and throw something together for dinner. After dinner the hubby and I go over any work stuff we have to discuss. Then it is already 11:30pm or so and past our bedtime. The next day it starts all over again! I will be glad when this first month or so is over and we have everything running more smoothly. I feel bad that my poor blog is the one suffering! There is just not enough time to get what I want to done. And not enough room in my brain for creativity! This is a project I've seen on Pinterest. I think these Painted Spoons are so cute and I love how colorful they are! I found the tutorial at Creatively Christy. 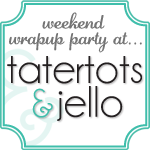 Pretty easy and they are great to customize to match your kitchen decor or even a party theme you might be hosting. 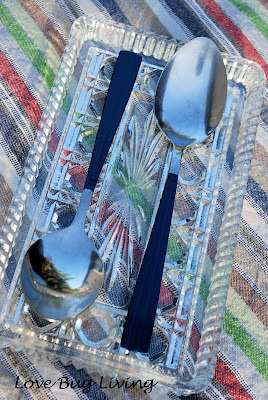 I actually saw a set of spoons similar to these for sale at Marshall's the other day. After seeing them there I knew I had to attempt to make my own. I found my spoons at the dollar store. I got two large spoons for a buck. I thought they would be perfect for serving spoons at a party. You can never have too many big spoons! Using painters tape, tape off your spoon so that only the handle is showing. 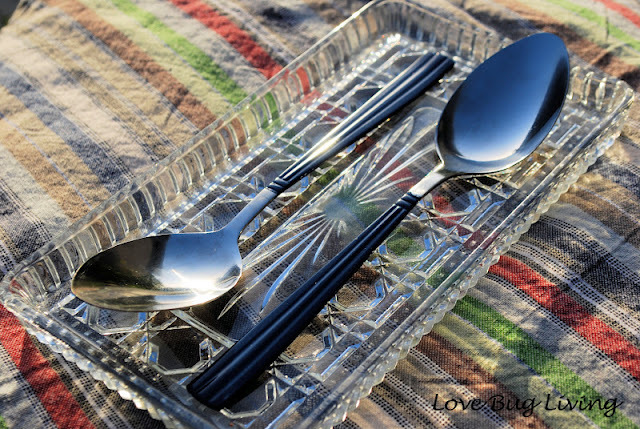 Spray paint is not safe to eat off of, so you do not want paint on the part you eat off of! 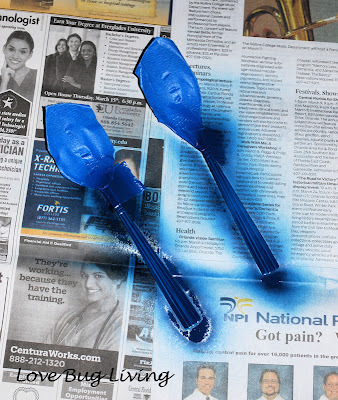 Now you will want to spray your spoons with spray paint metal primer. You will want to do two light coats, allowing them to dry between each coat. I seem to have forgotten this step. Hey, I told you my life has been crazy! 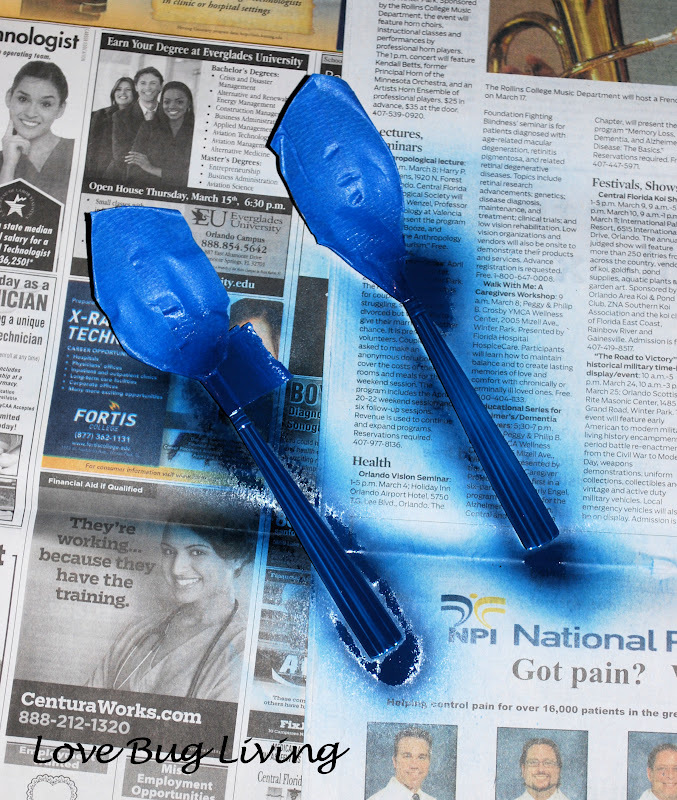 Now it is time to spray paint your spoon handles with your favorite color! Use light coats. Allow to dry and remove tape. 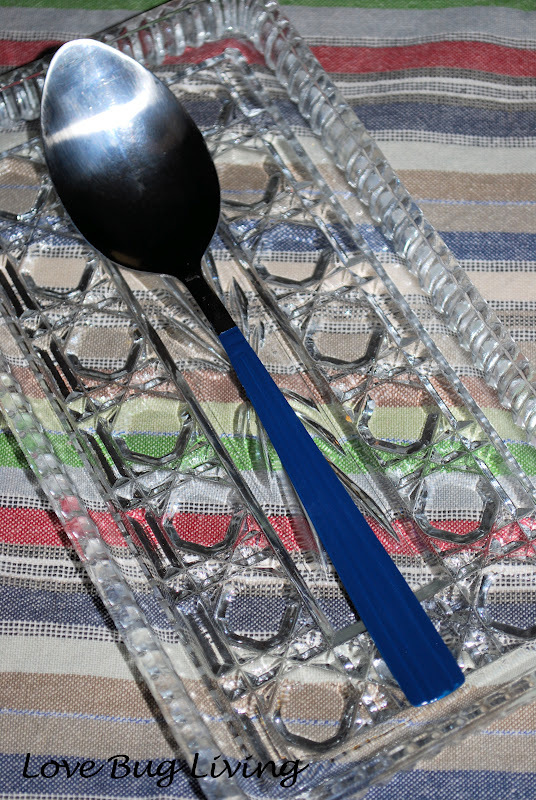 You now have the cutest spoons to eat with or to use to serve your favorite dip. 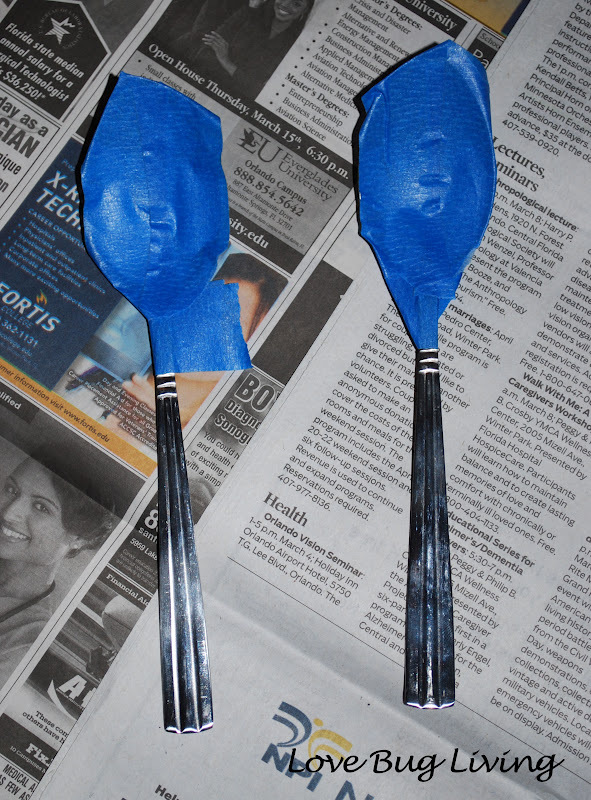 I plan on hand washing these spoons, but I have seen other people say that they have run them in the dishwasher. Why stop at spoons? You could create a whole flatware setting! These would make a cute gift too. Create a spoon to match a beautiful tea cup and add your favorite tea! It would add that fun personal touch! Your newest follower! creative idea! Follow back to share life through our blogs! this is a truly amazing idea! love it!